Luck happens all the time. The next spin of a slot machine or card off the draw can be just what you've been waiting for. When luck finds its way into your fortune, take a moment to savor the occasion - and take a picture of the game - if you're not too busy celebrating. If you share our passion for success at the slots and other popular casino games, we hope you enjoy this gallery of wins. Not all are massive - most are actually quite modest - but each has its own story. Our collection of winning screenshots features a variety of slot machines, including classic three reel, five reel video slots, and progressives, plus a few video poker machines. All the pictures and accounts featured in this section are of real wins by real people for real money - no guest or practice play shots because that would be too easy! Browse winning screens and read about game wins big and small for classic three-reel, single payline slot machines. Browse winning screens and read about scatter signs, free spins, and wild wins playing online video slots. Browse winning screens and read about trials and triumphs on the quest for progressive slots glory. 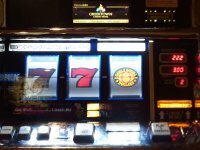 Browse winning screens and read about unique and thrilling video poker games found at modern online casinos. Browse winning pictures and read about three reel and video slot wins at land-based casinos in land casino slots.